An opportunity to read and write poetry in a supportive environment, which can facilitate inner change. This workshop will feature exercises based on the Creation Spirituality of Matthew Fox. Feel free to bring poems that inspire you on the themes above. There will also be exercises to inspire you to write poetry on the day. 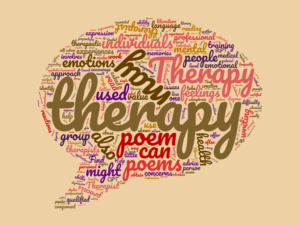 For an illustration of the power of poetry therapy see the video to the left.